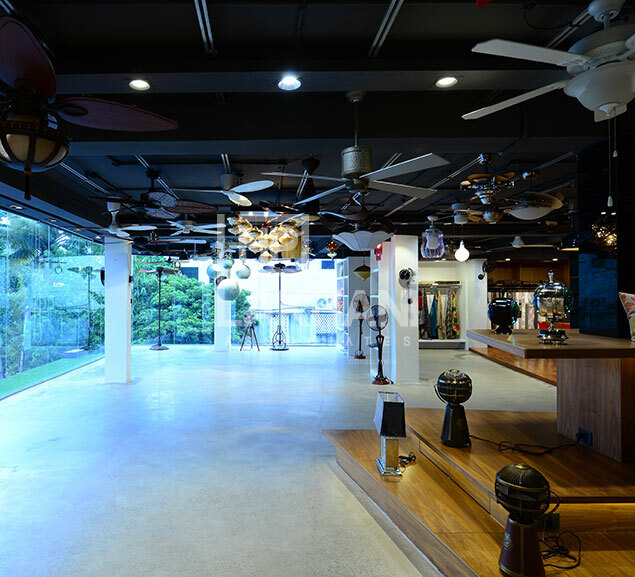 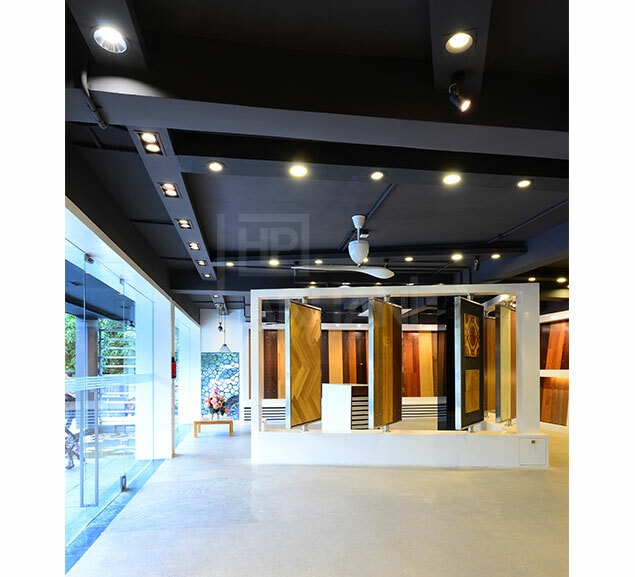 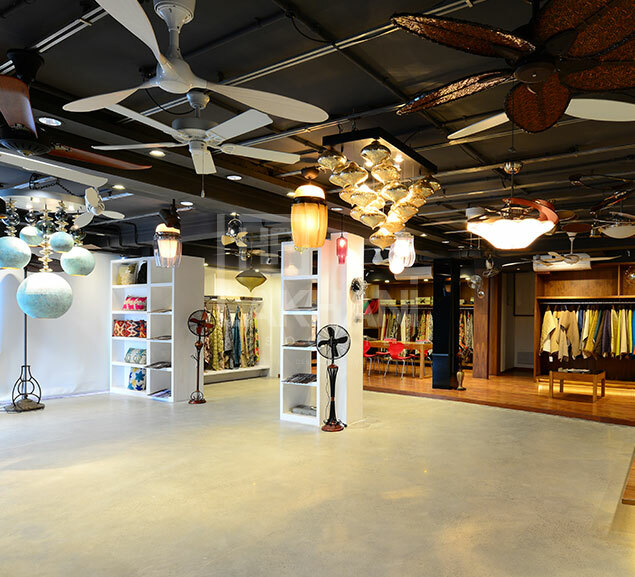 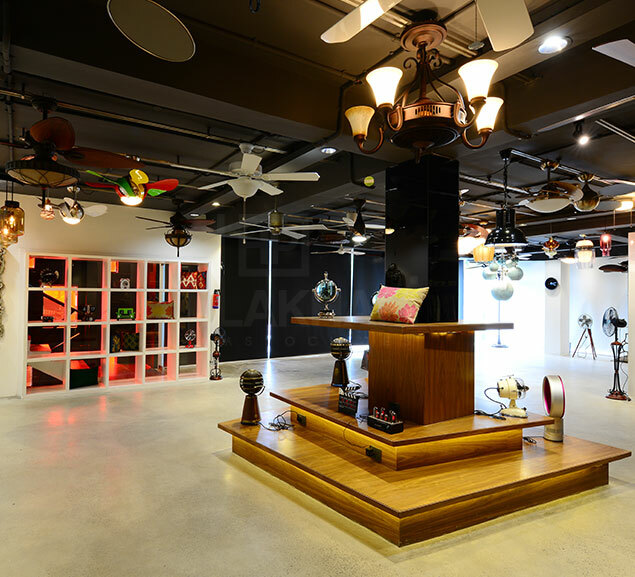 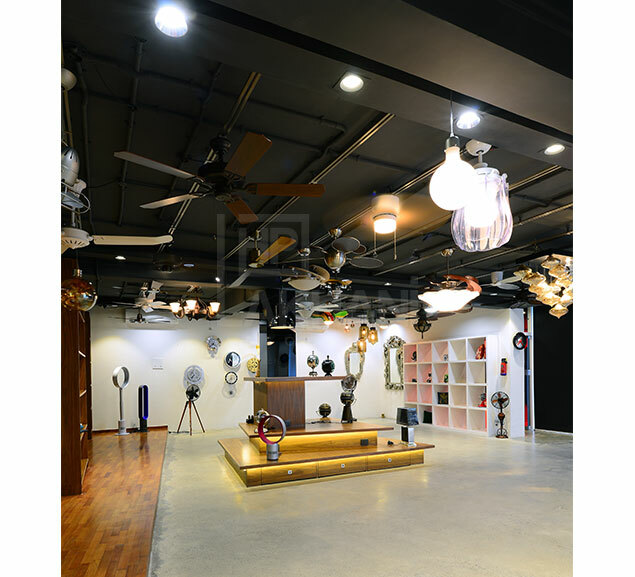 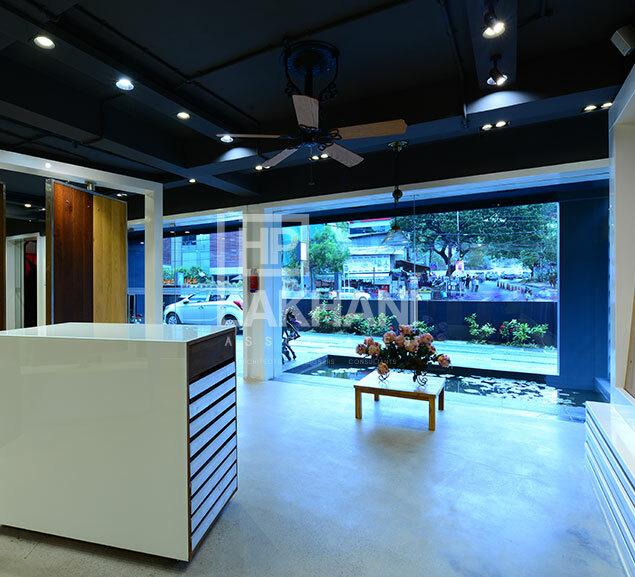 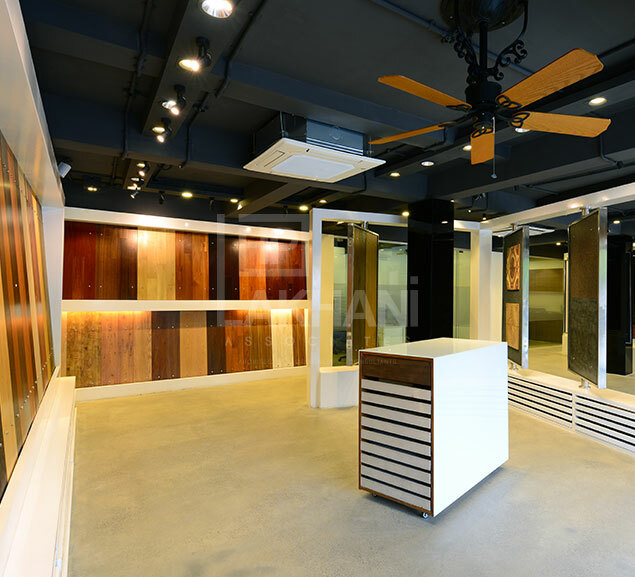 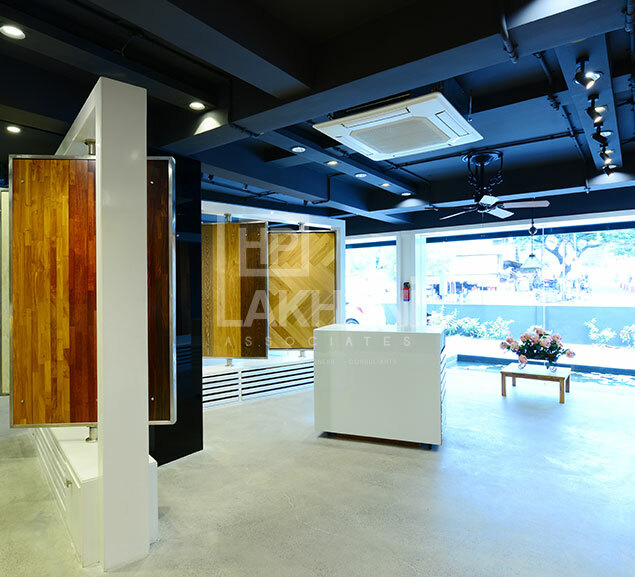 Pinkmondo, a one-stop-shop catering to interior accessories like wooden flooring, readymade door shutters, fancy lighting, designer fans, wallpapers and furnishings is situated in the high-profile Jubilee Hills area. 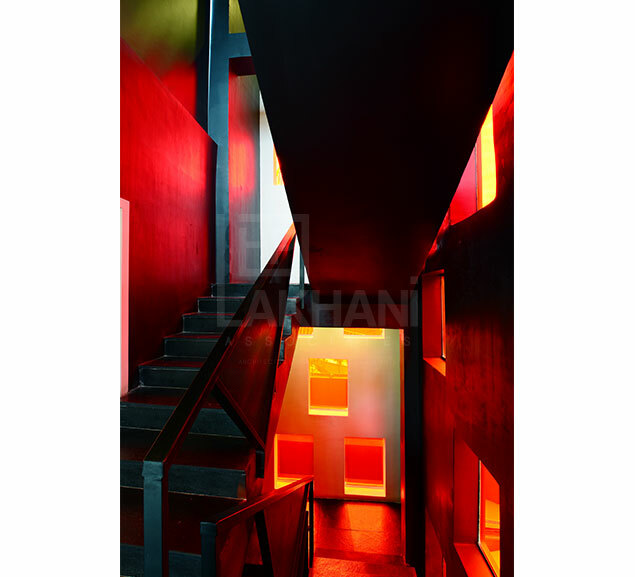 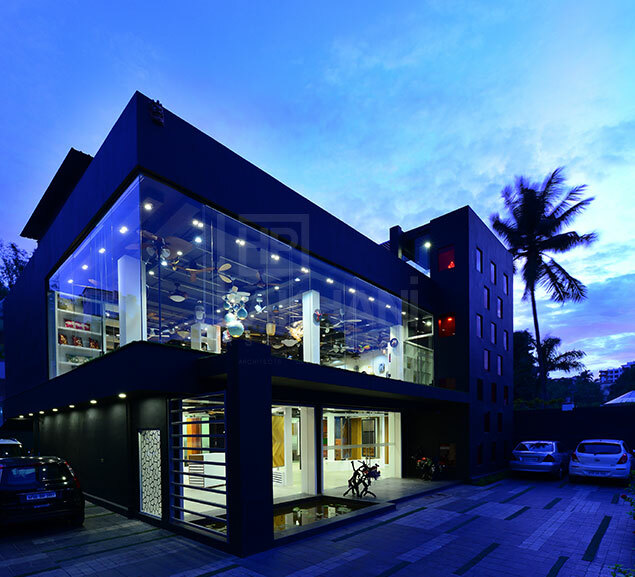 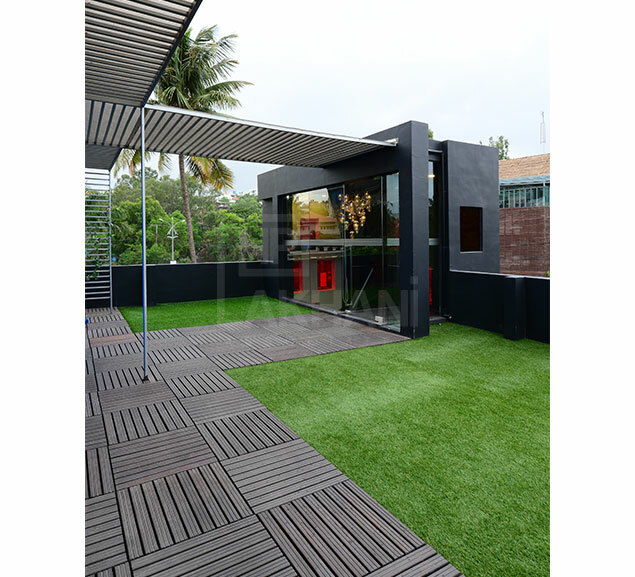 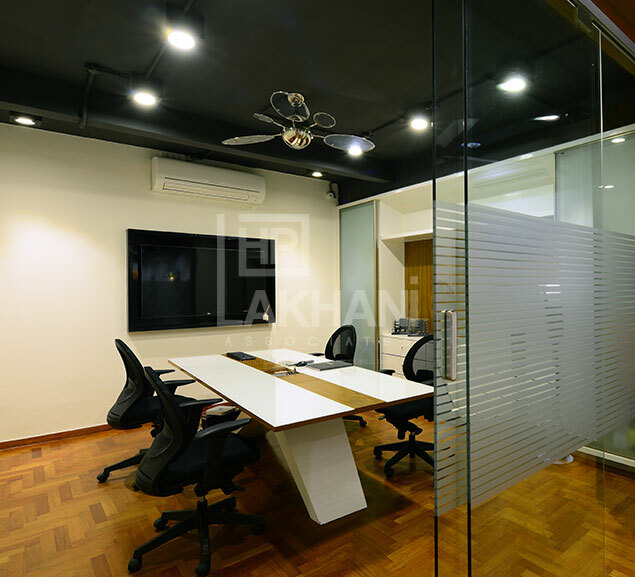 This project piqued our interest as the structure was a 35-year-old house on a commercial road that our client rented to convert into the Pinkmondo Store. 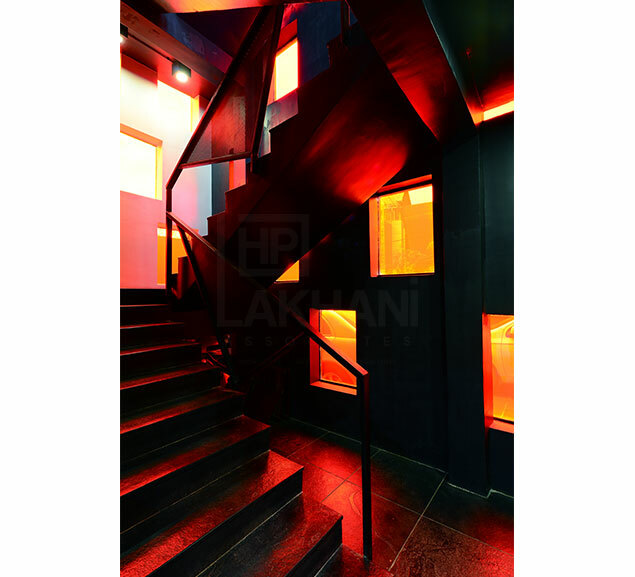 We retained most of the floor plate with no expansions or projections, except adding a staircase enclosure in the front as it was open. 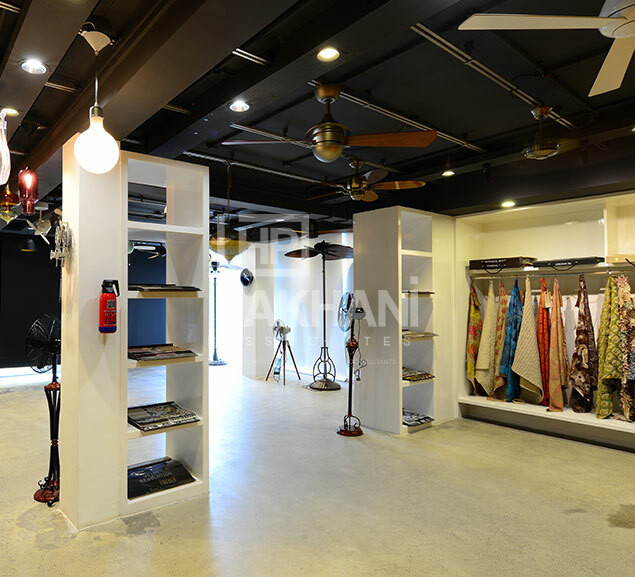 Thus, in a part of the reclaimed terrace we created a studio office. 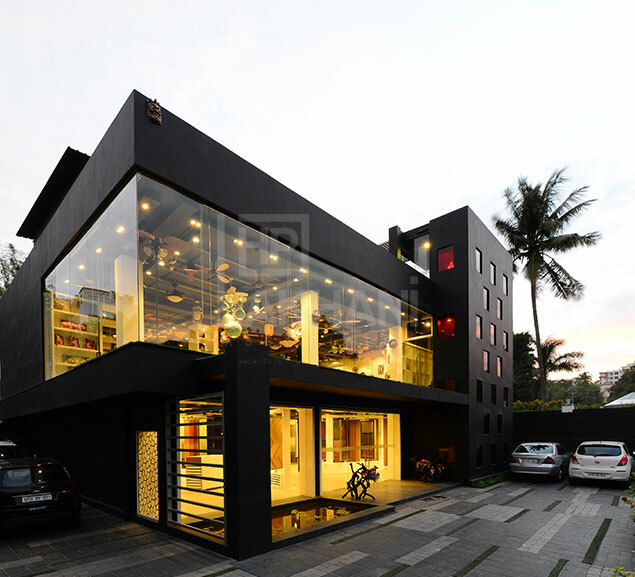 We revamped the classical elevation of the house to give it a modern and contemporary look and feel.